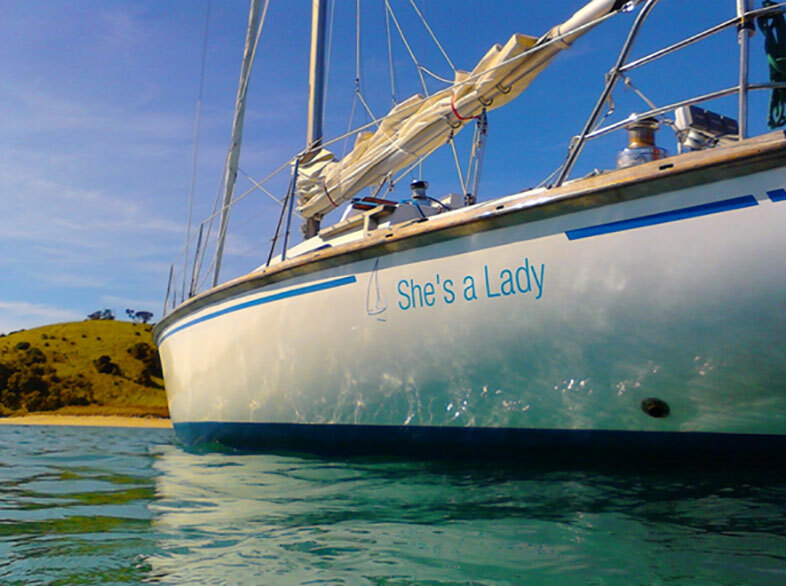 Join us at ‘She’s a Lady’ for a day sailing adventure in the beautiful Bay of Islands, with a small personalised group. Our main goal is for everyone to experience a day they’ll never forget. We depart at 10.00am from Paihia, returning between 4.00 – 4.30pm. You don’t have to be a sailor to join us but you’re more than welcome to take the wheel and help out. We can instruct and show you the ropes or you can just sit back, relax and let us do the work.